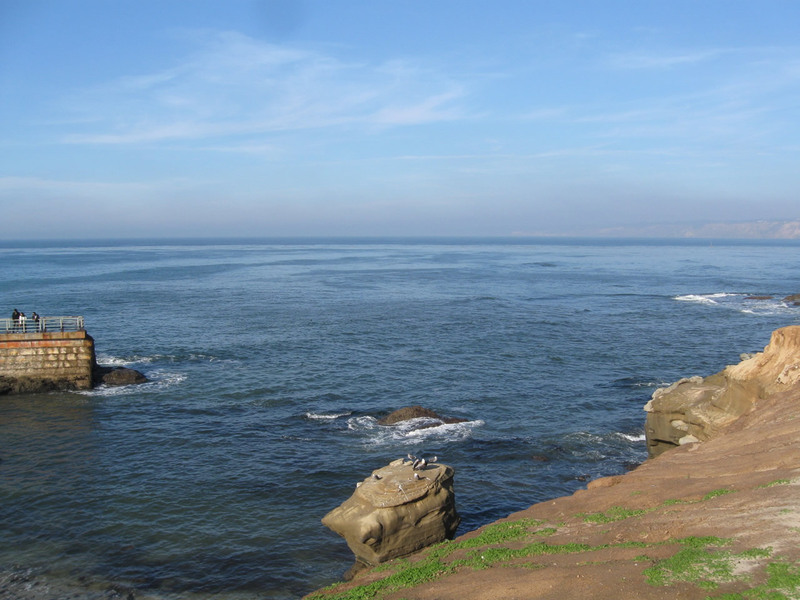 Taken from a boat at the entrance to San Diego Bay, this view looks north toward the southern tip of Point Loma and Cabrillo National Monument. 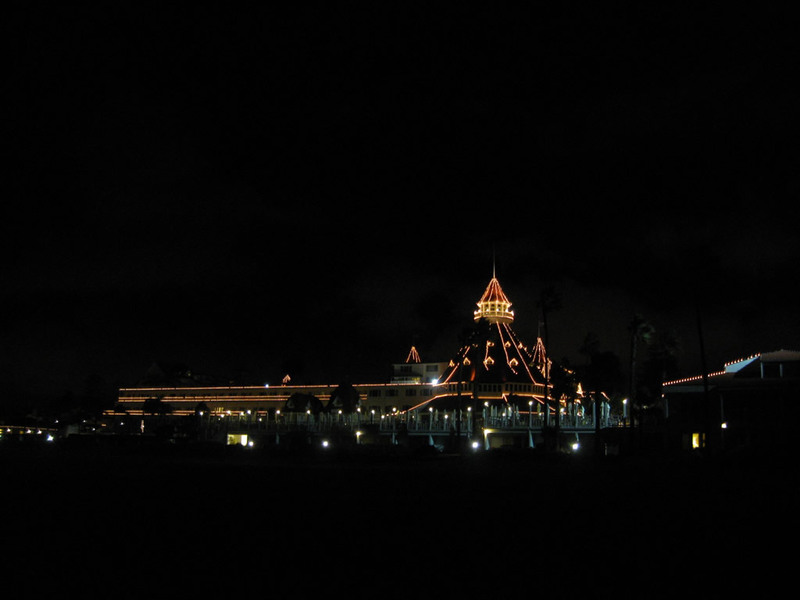 Photo taken 03/01. 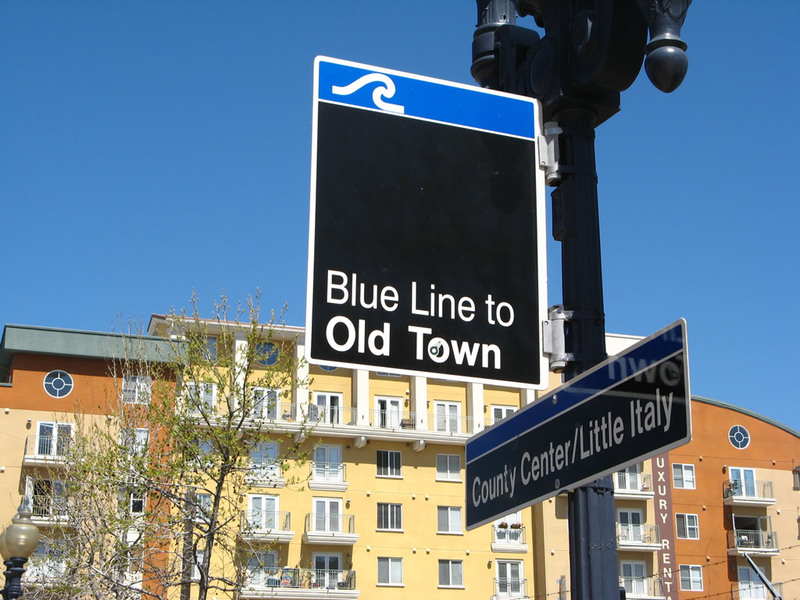 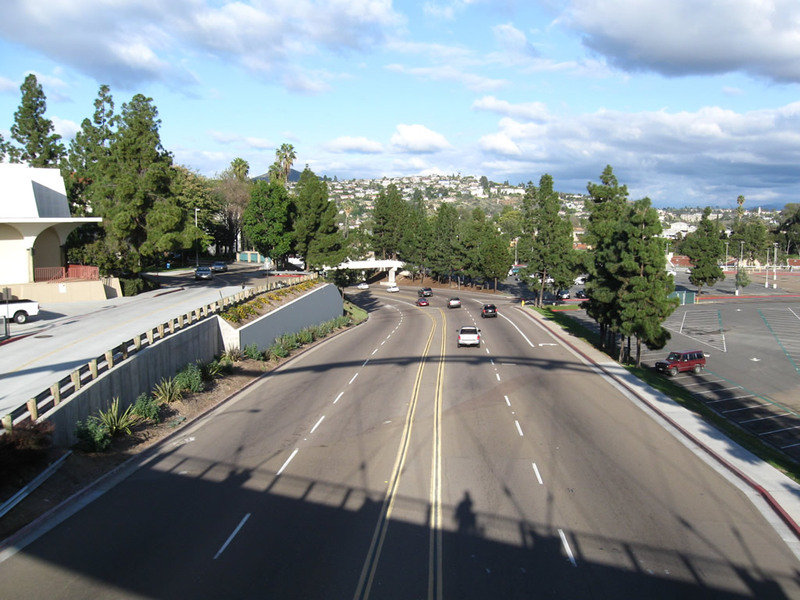 The San Diego Trolley parallels Harbor Drive from National City north to Seaport Village, then turns north to parallel Pacific Highway between Seaport Village and Old Town. 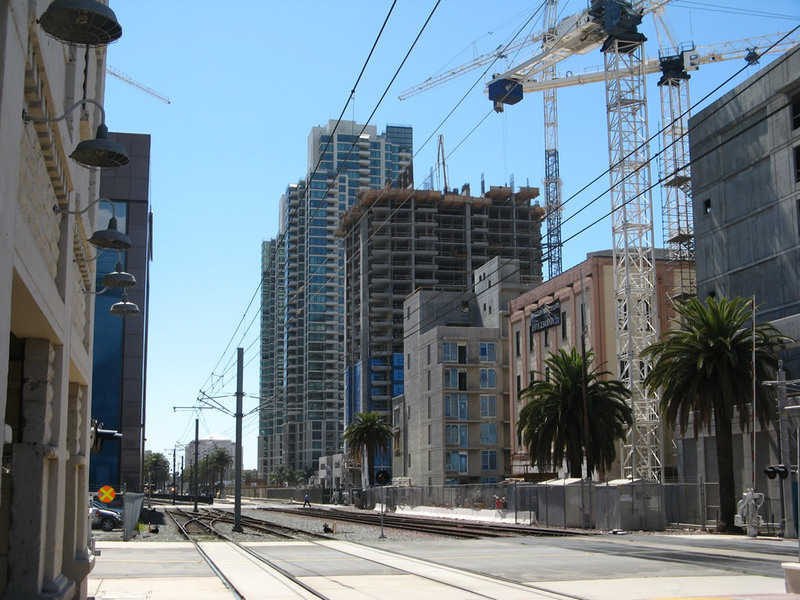 These views are taken at the County Center/Little Italy station. 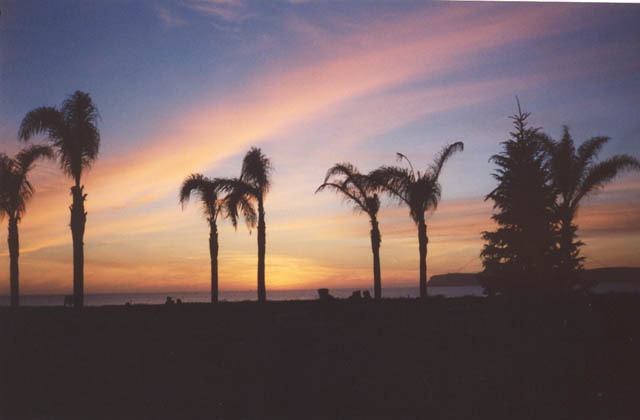 Photos taken 03/24/08. The Coronado Ferry Landing is the terminus of the San Diego-Coronado Ferry that links downtown San Diego’s Cruise Ship Terminal with the city of Coronado. 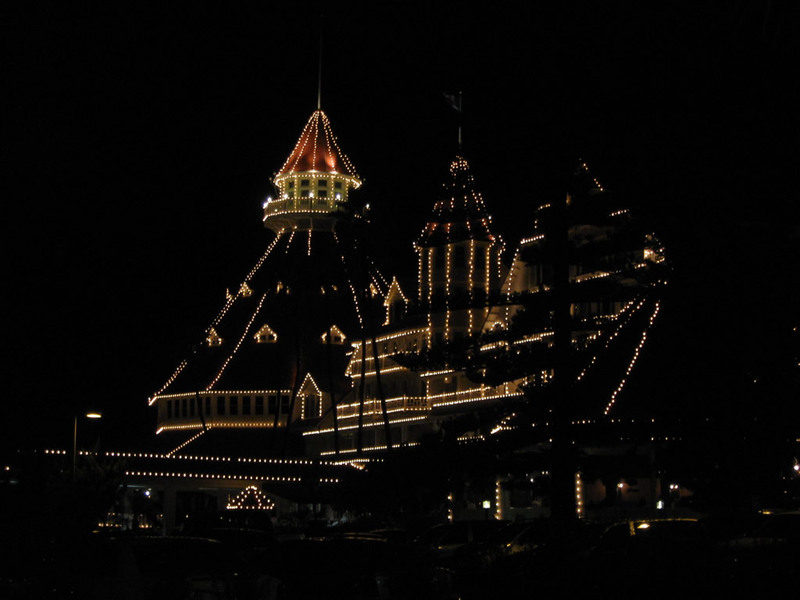 Photo taken 12/17/08. 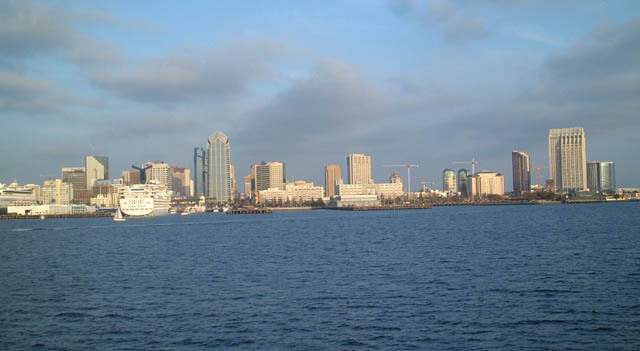 Views of the downtown San Diego skyline are best from the Coronado Ferry Landing. This view looks east at the skyline after a stormy and rainy day. 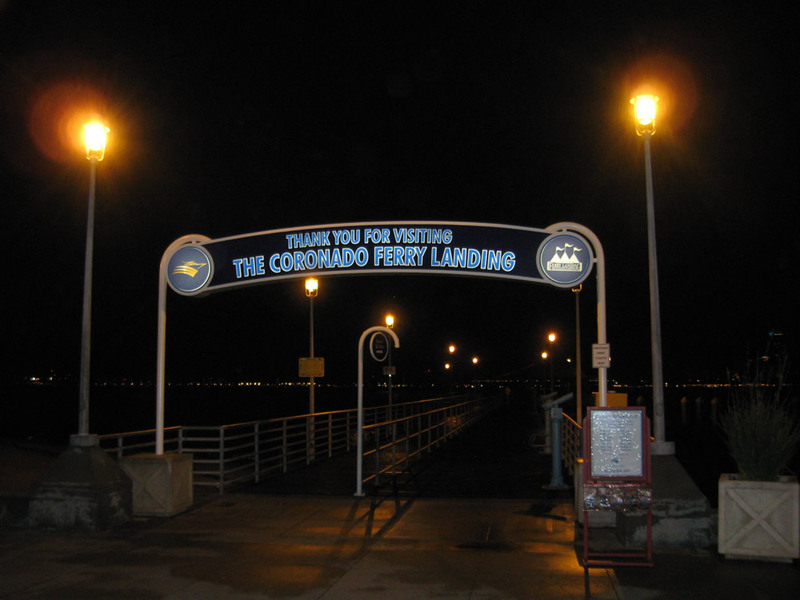 Photo taken 12/17/08. This view of the San Diego downtown skyline from a boat on San Diego Bay shows the skyscrapers that lined the bay in 2001. 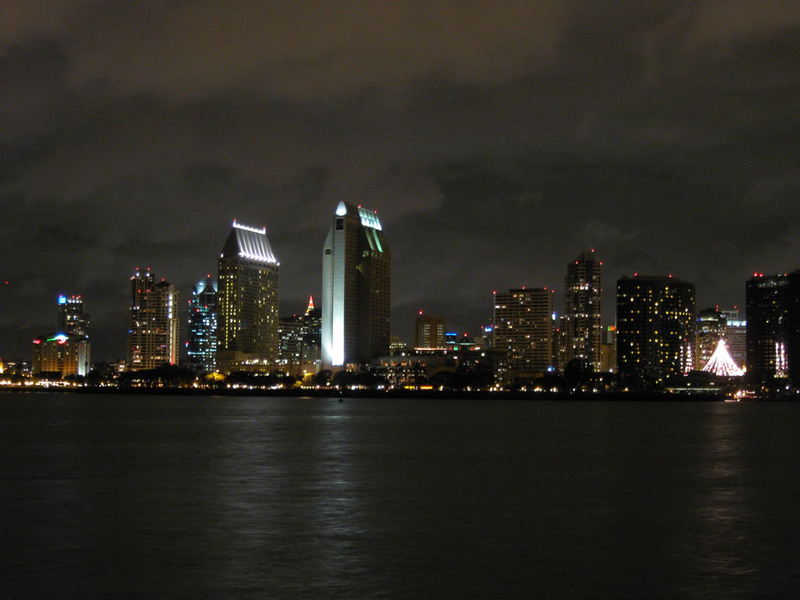 Since that time, more skyscrapers have been erected, thus changing the skyline of San Diego. 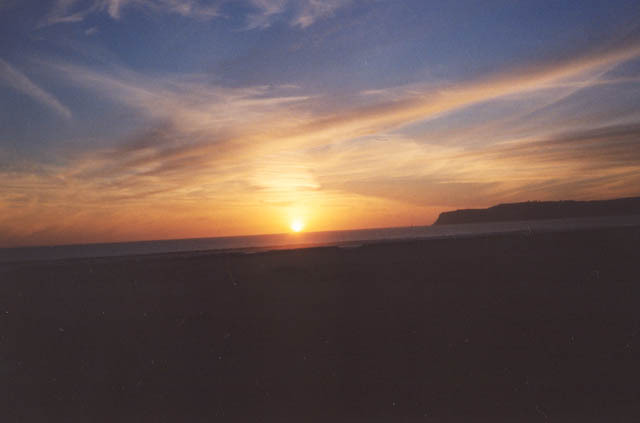 Photo taken 03/01. 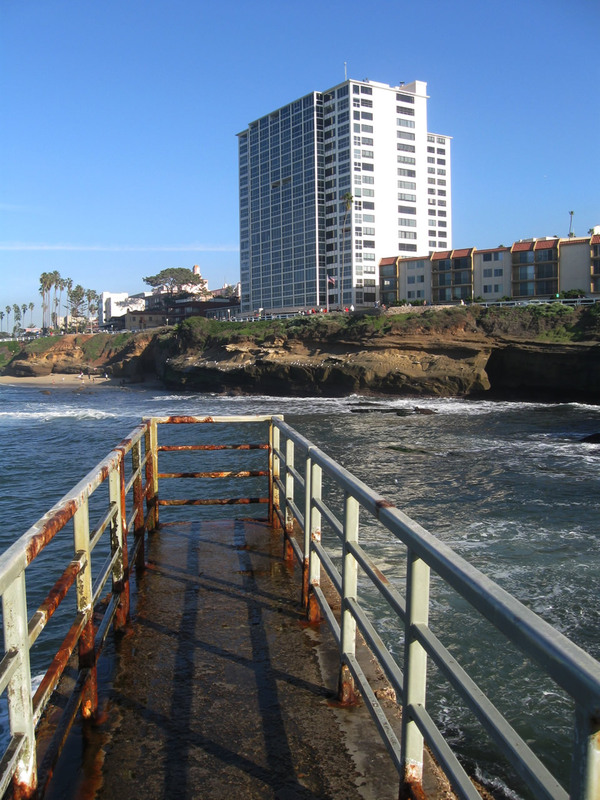 Also known as Casa Beach, the Children’s Pool in La Jolla is an artificially protected cove located at the end of Jenner Street near downtown La Jolla. 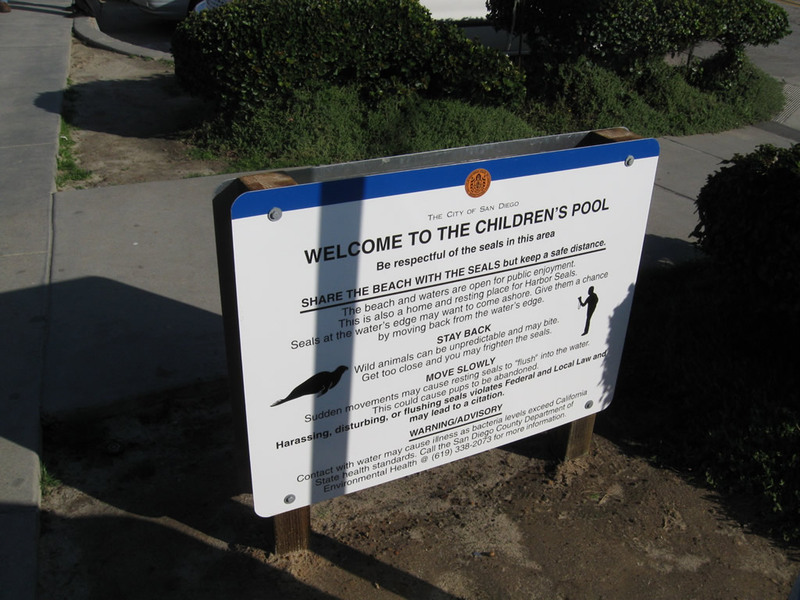 Built in 1931, the pool is controversial due to conflict between its original role as a place for children to swim and its more recent role serving as a seal rookery. 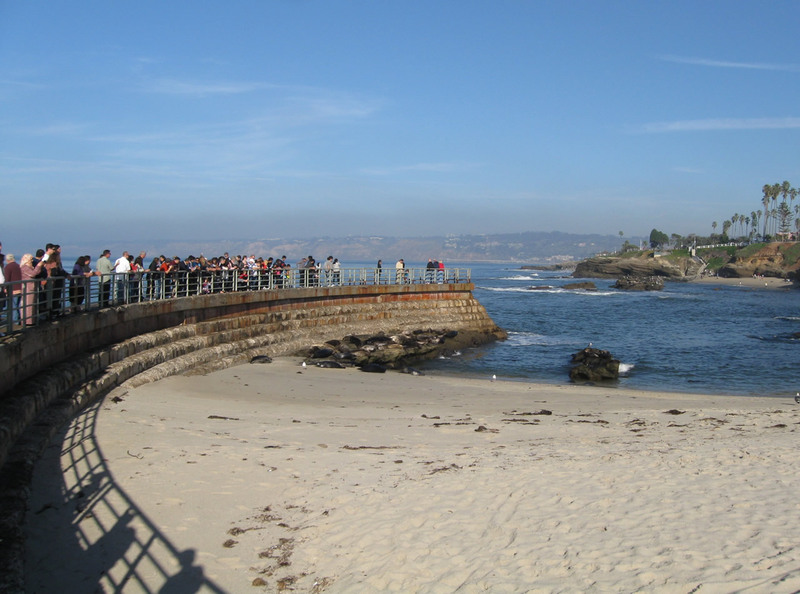 California harbor seals line the sandy beach created behind the concrete sea wall. 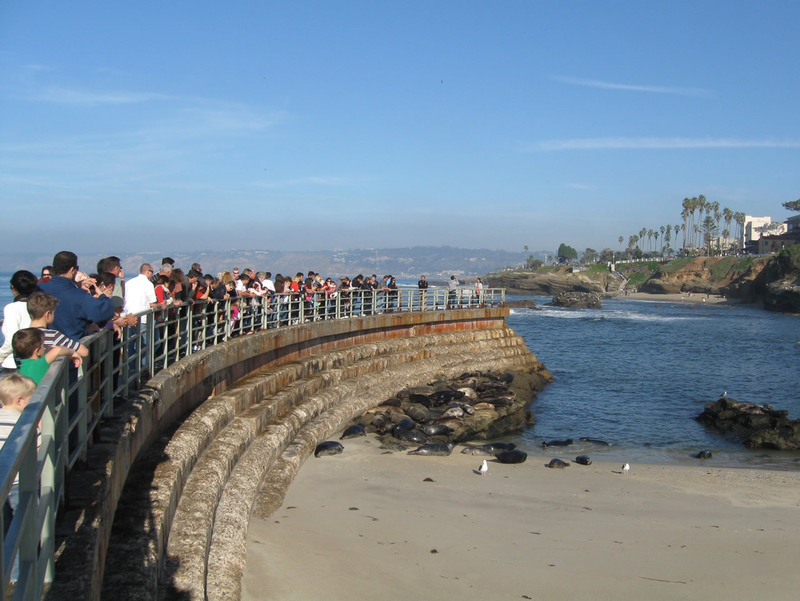 A walkway extends out over the sea wall, offering views of the seals and the Pacific Ocean. 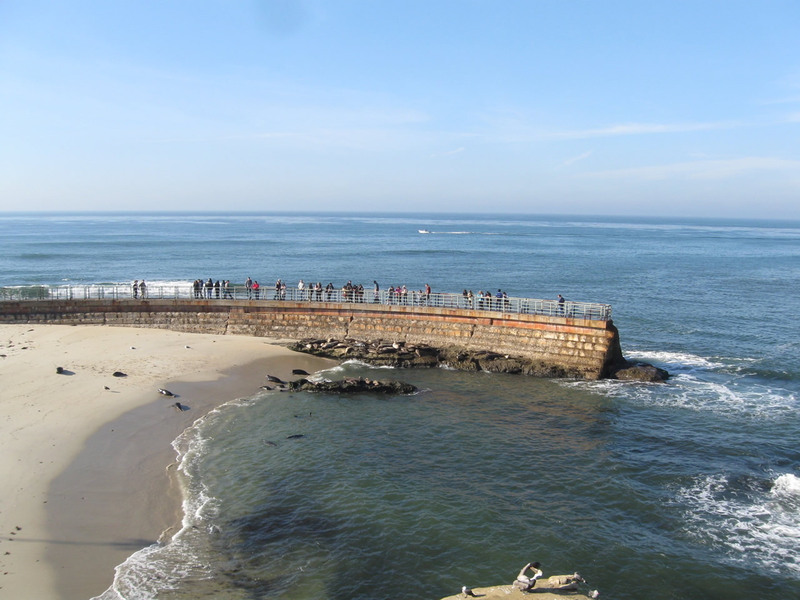 This series of pictures looks down into the pool, which has seen an increase in the amount of sand deposited since it was originally built. 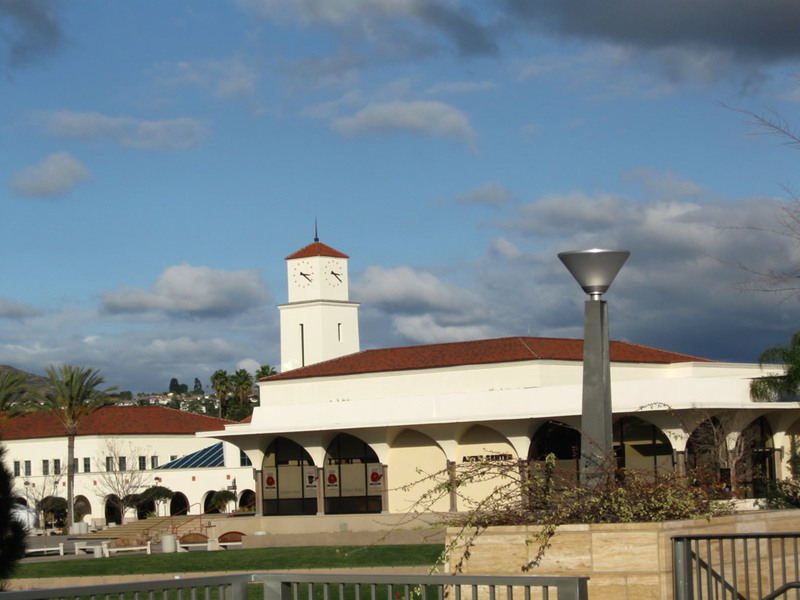 Photos taken 12/28/10. 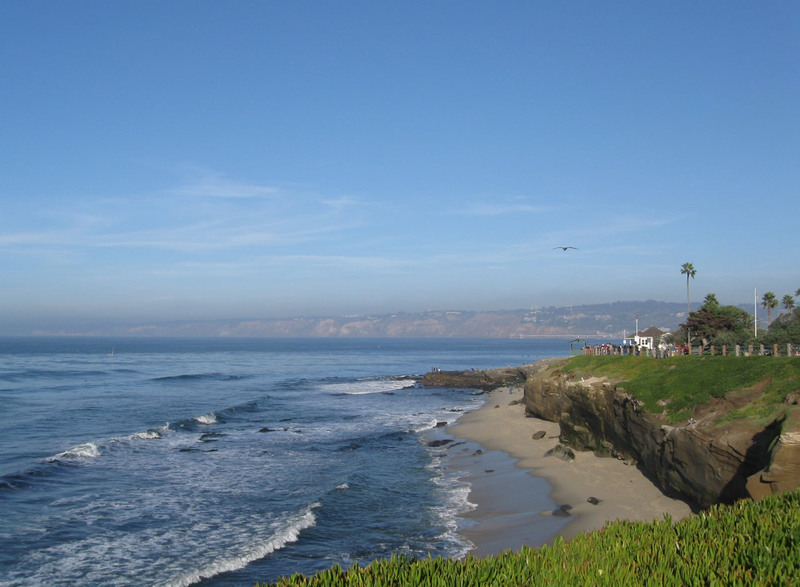 Ellen Browning Scripps Park is located in downtown La Jolla along the Pacific coast. 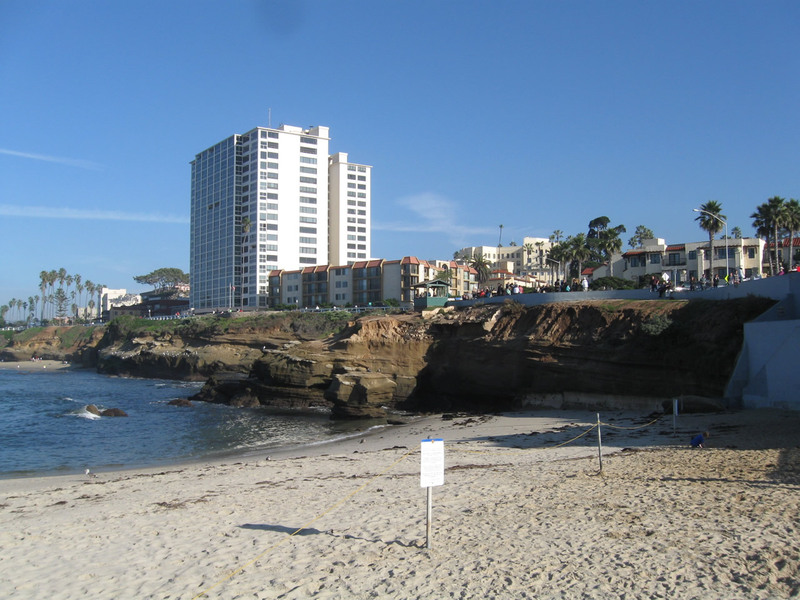 The park is adjacent to La Jolla Cove and down the street from Children’s Pool off Coast Boulevard. 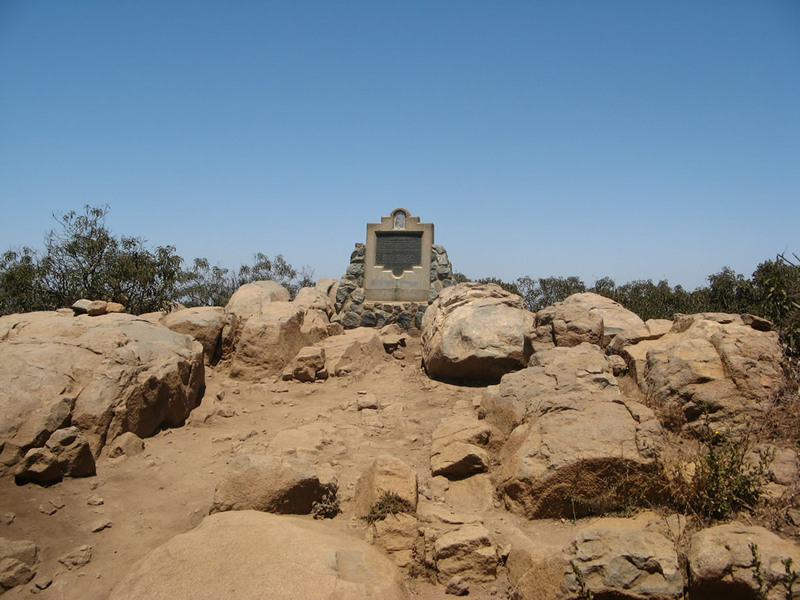 Cowles Mountain is the tallest point in the city of San Diego. 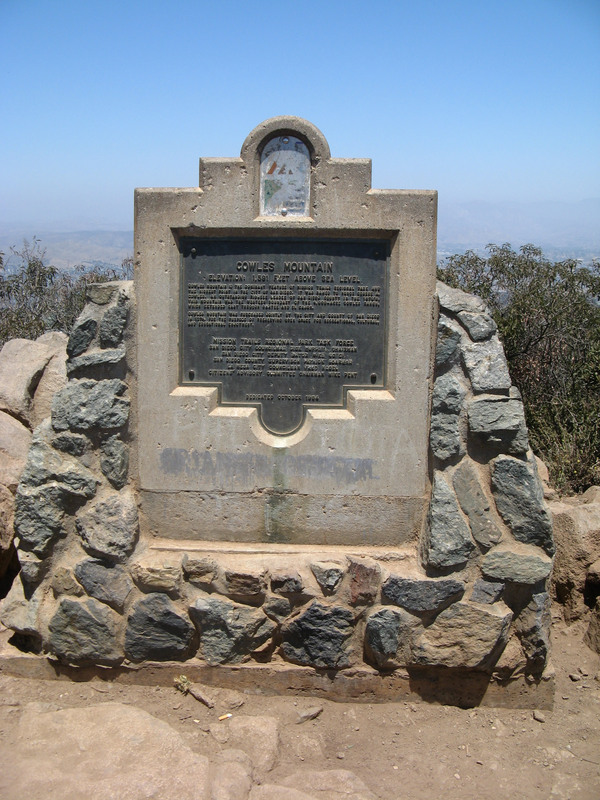 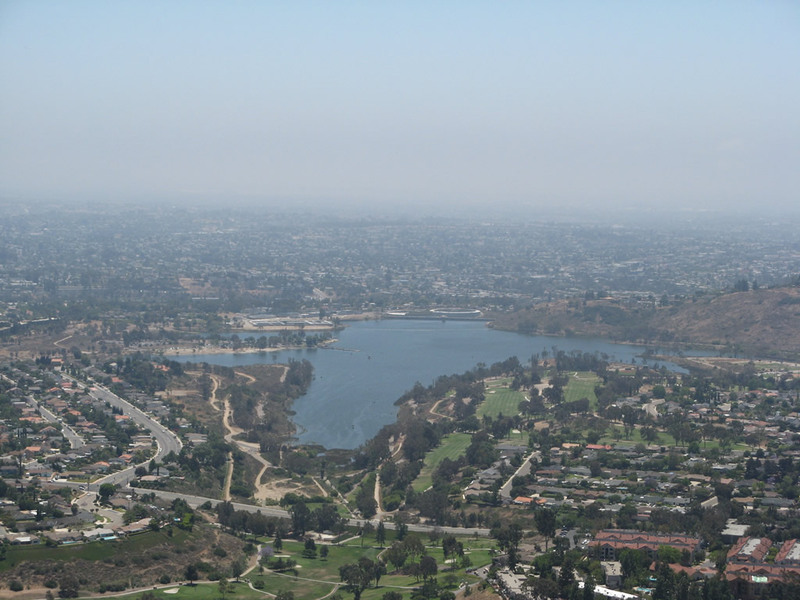 Located in Mission Trails Regional Park, hikers may ascend to the peak of Cowles Mountain (el. 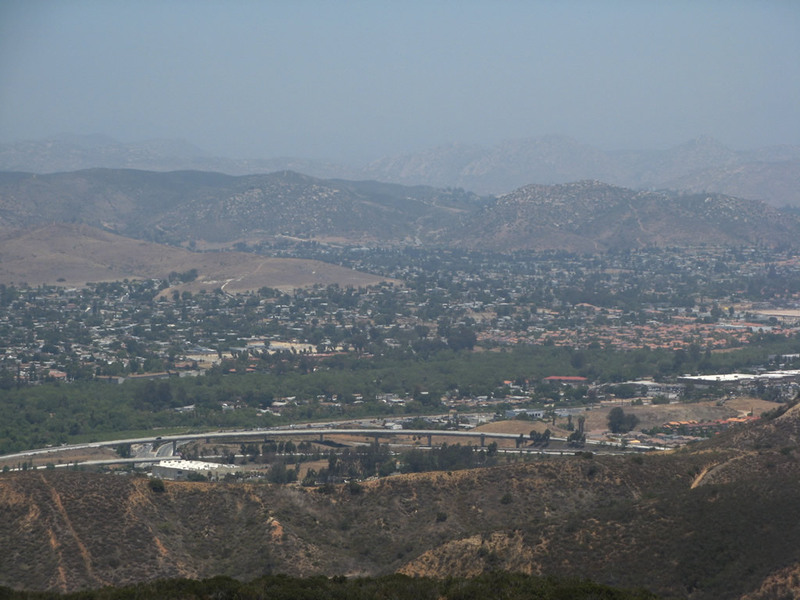 1,591 feet) and look down on eastern San Diego, La Mesa, Santee, and El Cajon. 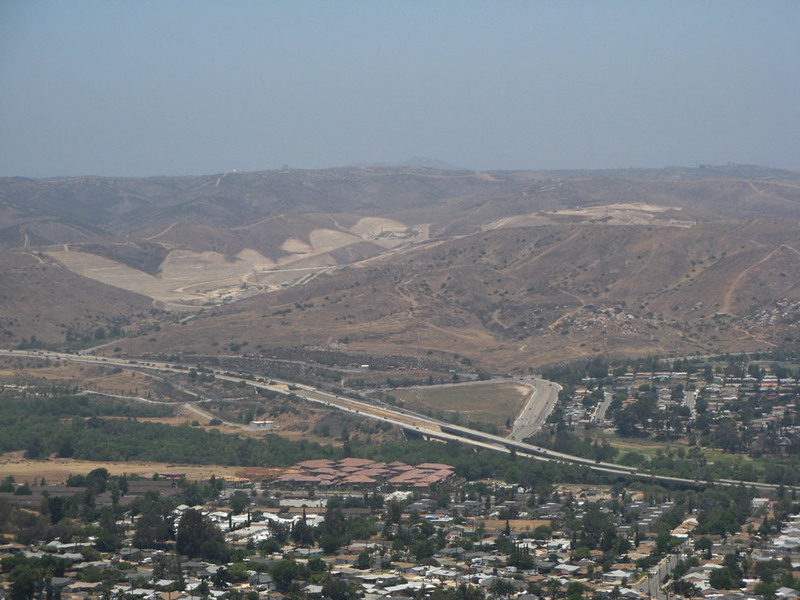 On trail to the top of Cowles Mountain, freeway ramps associated with the Interstate 8 / California 125 and California 52 and 125 interchanges are visible. 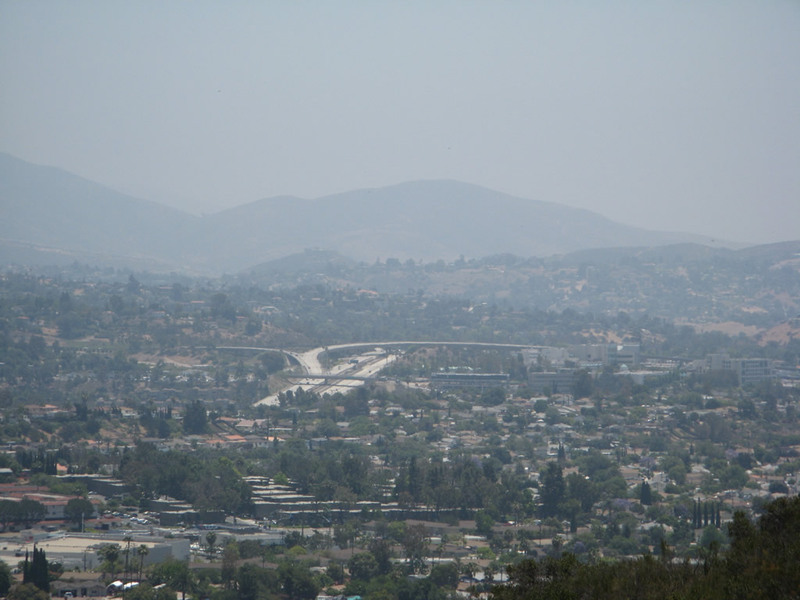 Photos taken 06/27/07. 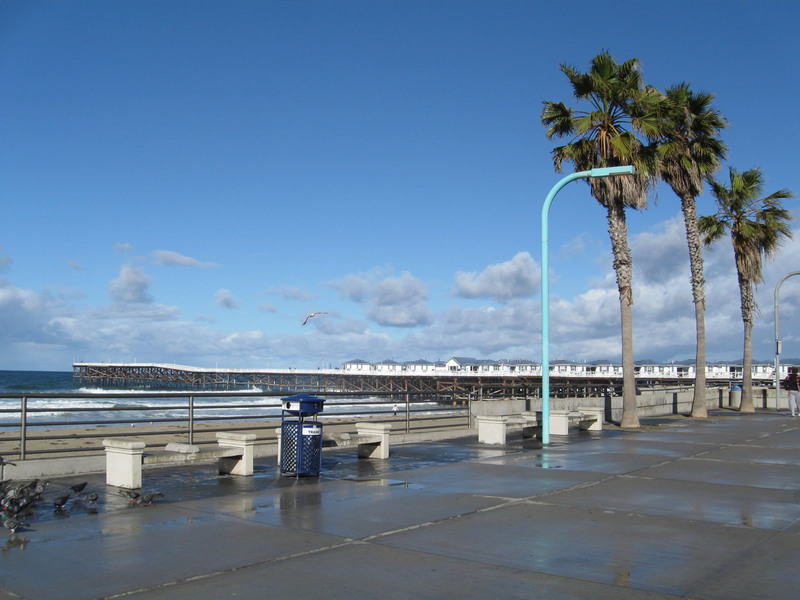 Pacific Beach, one of the coastal communities in San Diego, features Crystal Pier, which juts over the ocean. 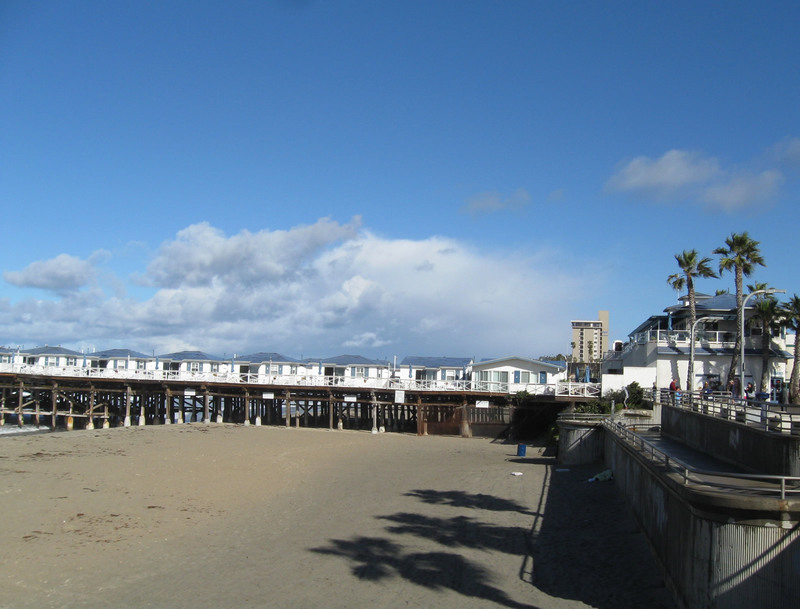 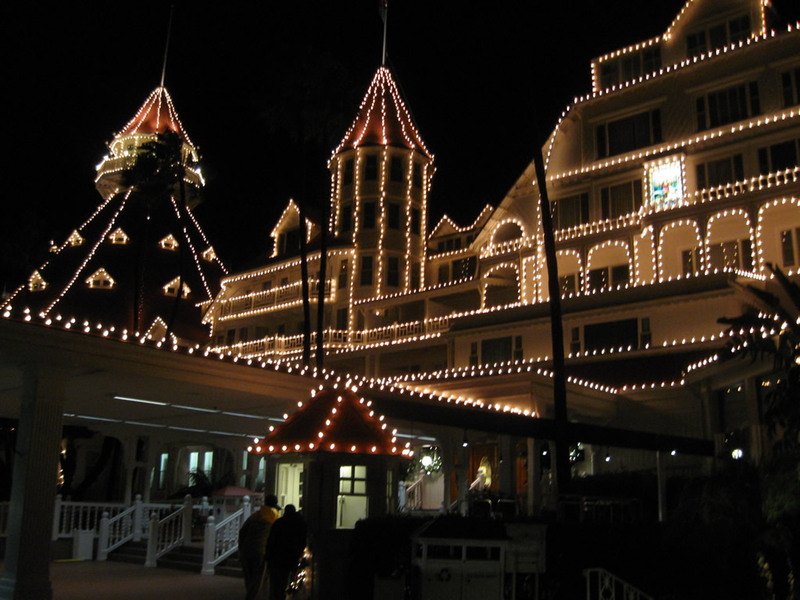 Built in 1927, it features the unique Crystal Pier Hotel with its cottages situated over the beach and water. 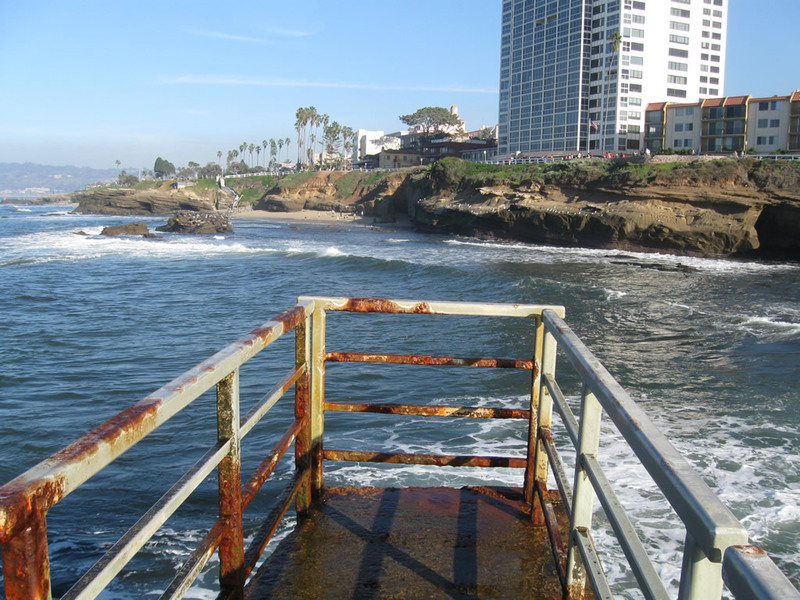 At the end of the pier are areas for fishing and sightseeing. 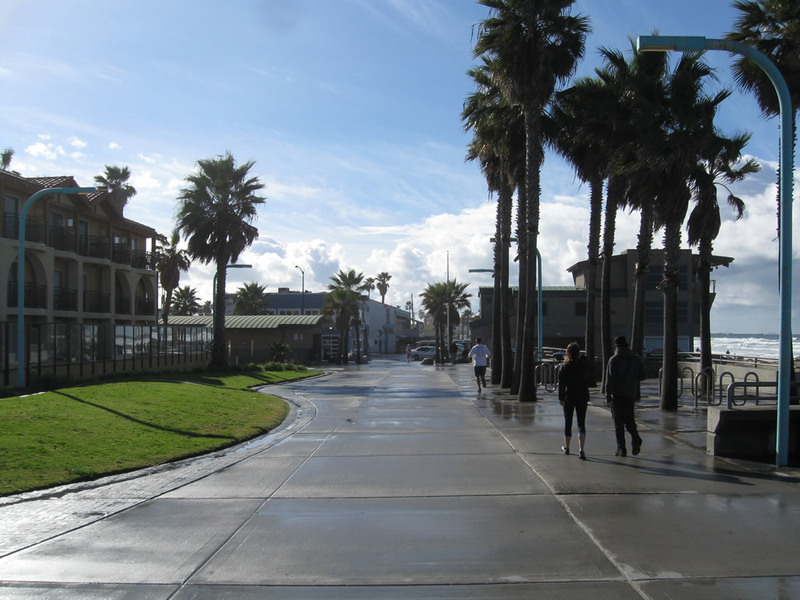 A boardwalk lines the coast in Pacific Beach, connecting the pier with a variety of waterfront restaurants. 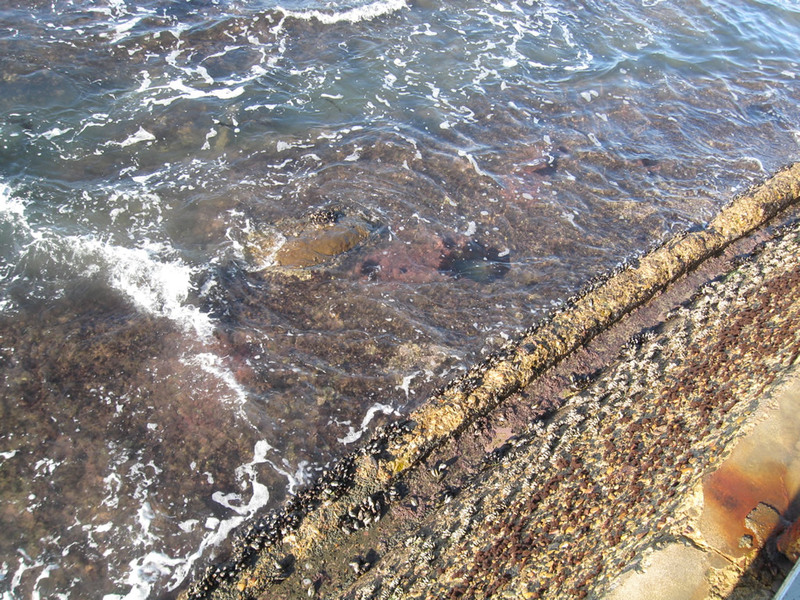 Photos taken 02/11/11. 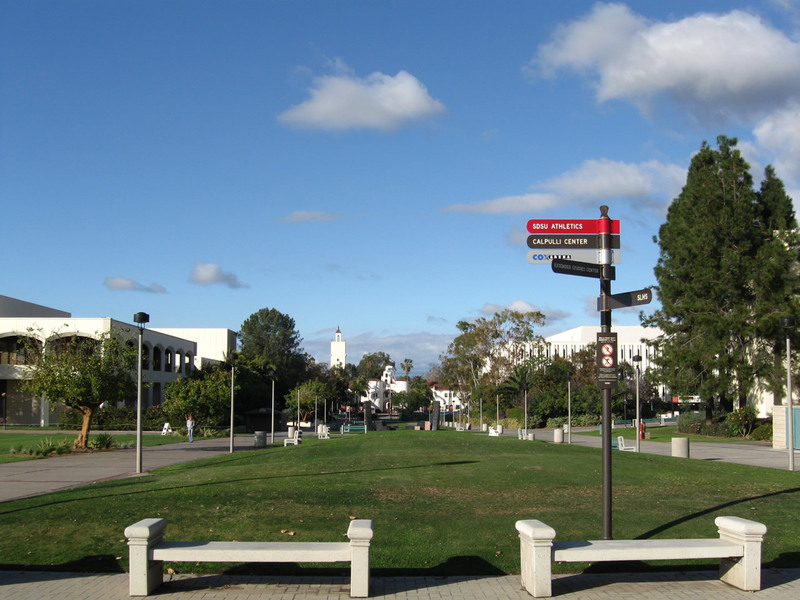 San Diego State University was founded in 1897; this monument sign is located at the southwest corner of the intersection between College Avenue, Canyon Crest Drive, and Alvarado Road. 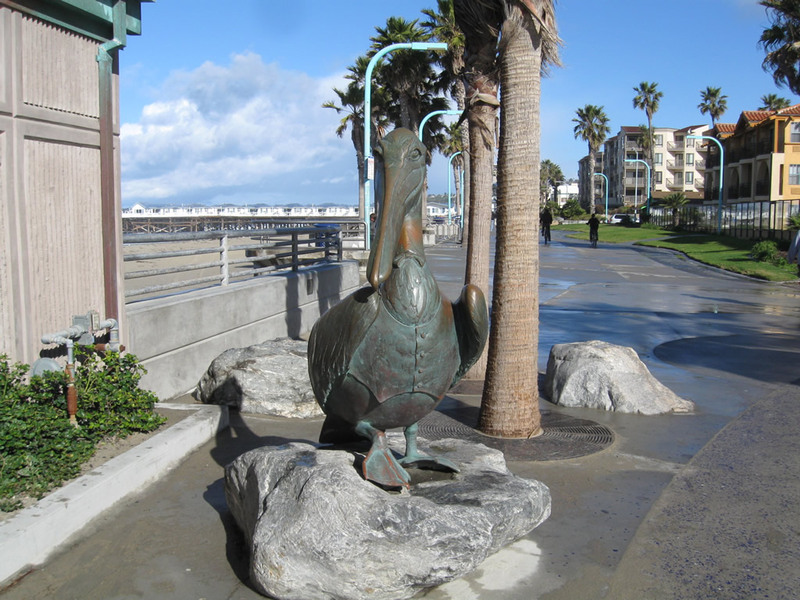 Photo taken 01/24/09. 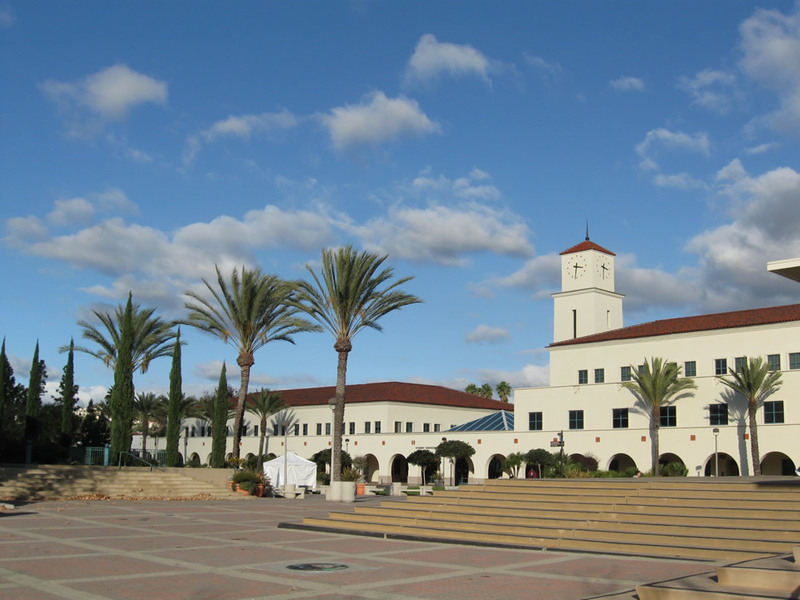 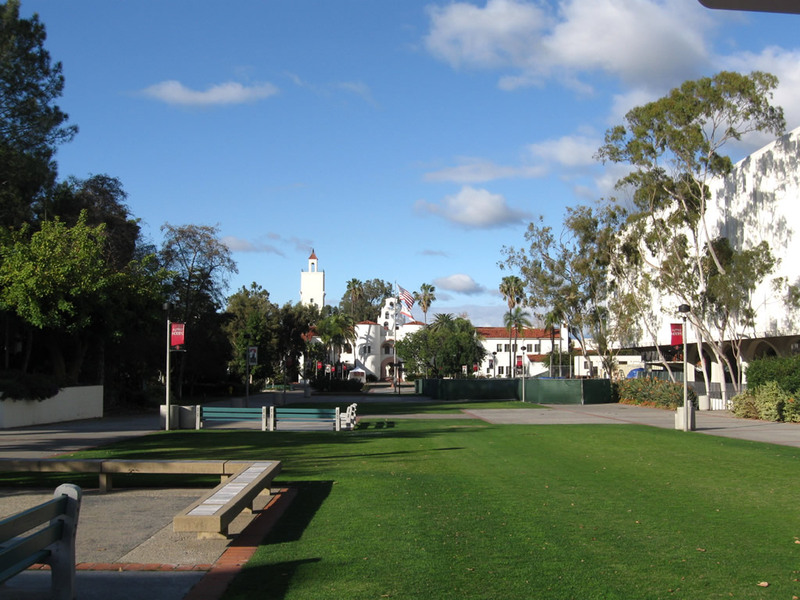 San Diego State University is located on Montezuma Mesa south of Interstate 8 and north of Montezuma Road roughly bounded by College Avenue to the east and 55th Street to the west (although portions of the campus extend on either side of those roads). 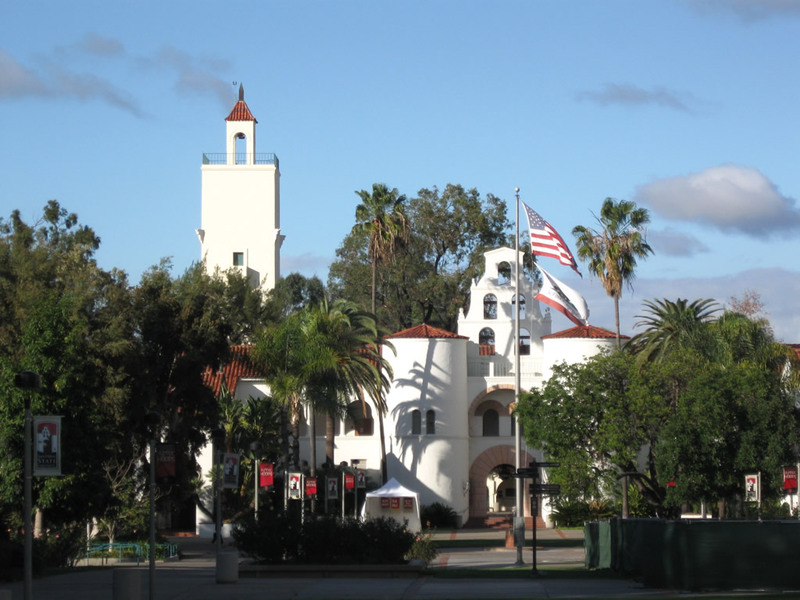 The original structures on campus surround the Campanile, which is the most recognizable building on campus. 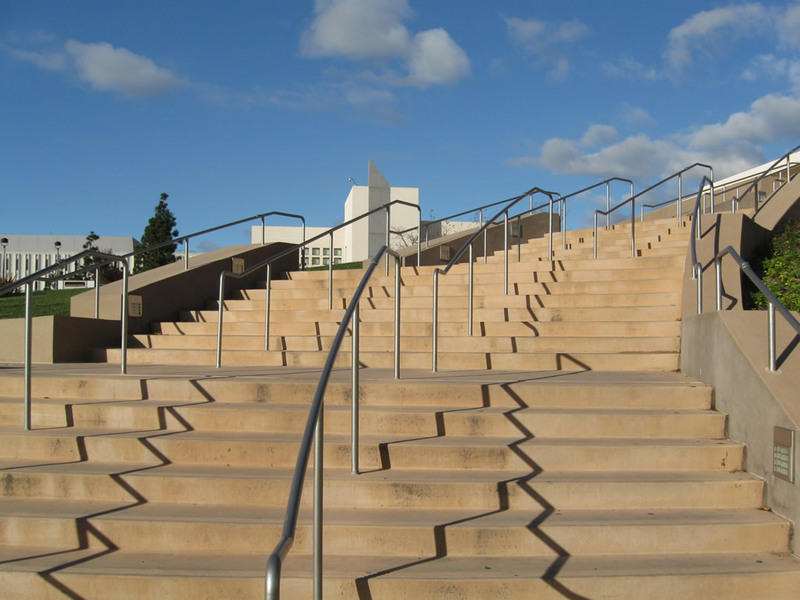 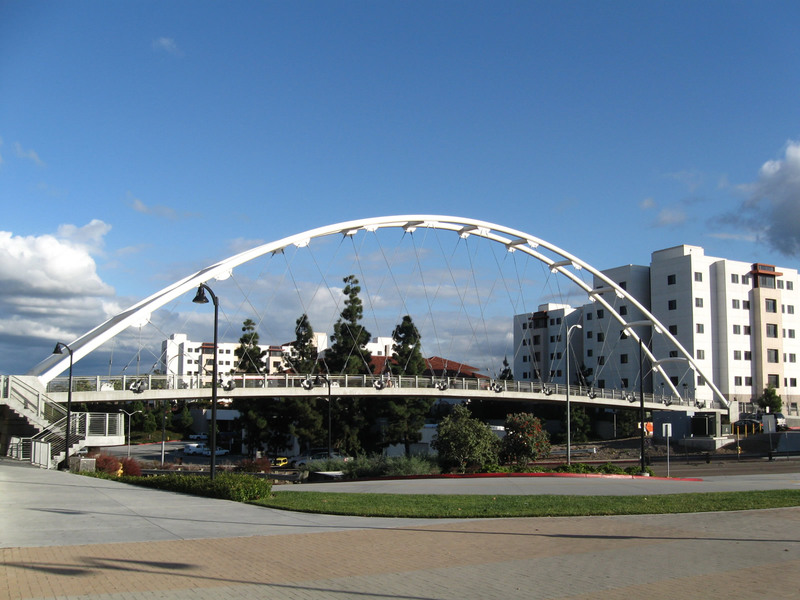 While most of the campus sits on the mesa, portions extend into canyons as demonstrated by some of the tall pedestrian bridges connecting the western parking structure with west commons. 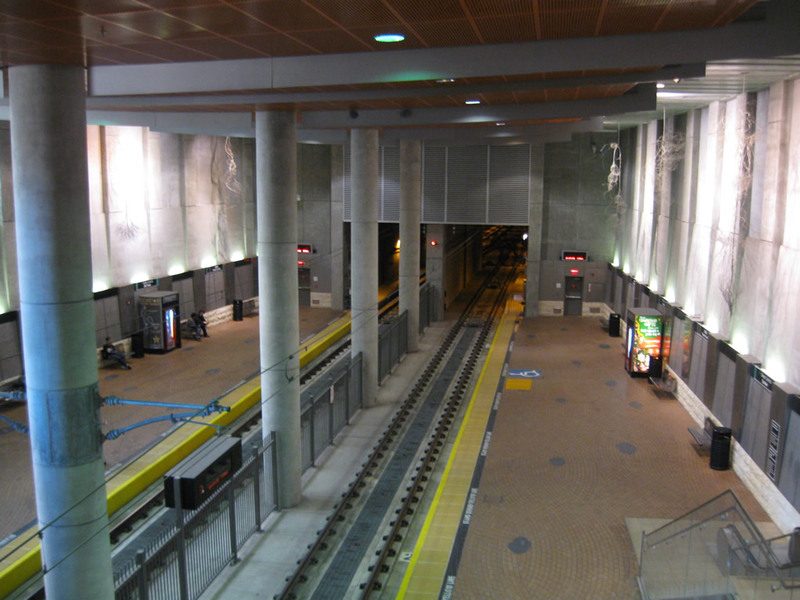 Photos taken 01/24/09. 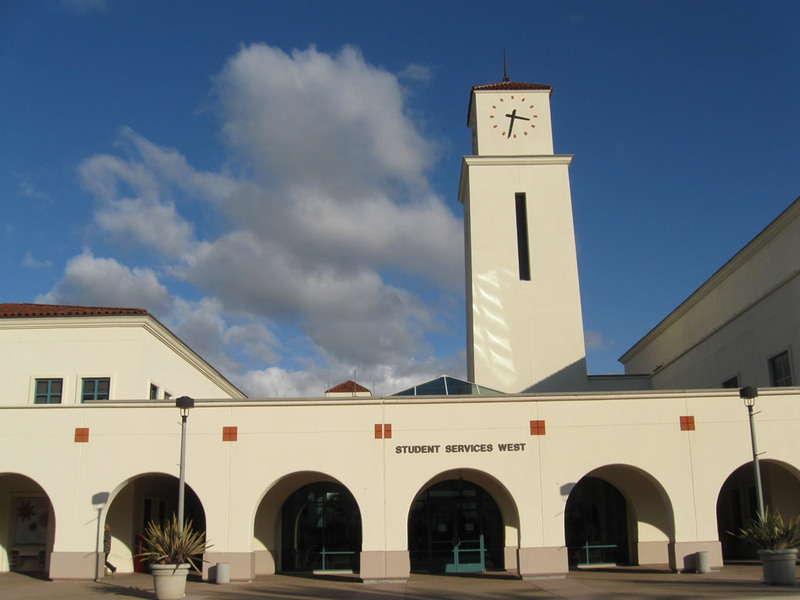 These views looks east toward the Aztec Center (scheduled for major renovation starting in 2011) and the Student Services Building (with its clock tower). 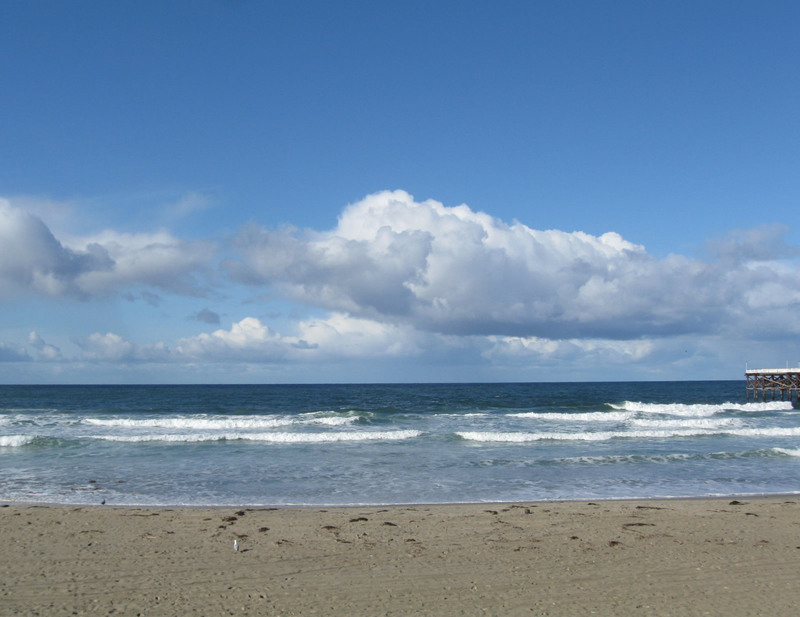 Photo taken 01/24/09. 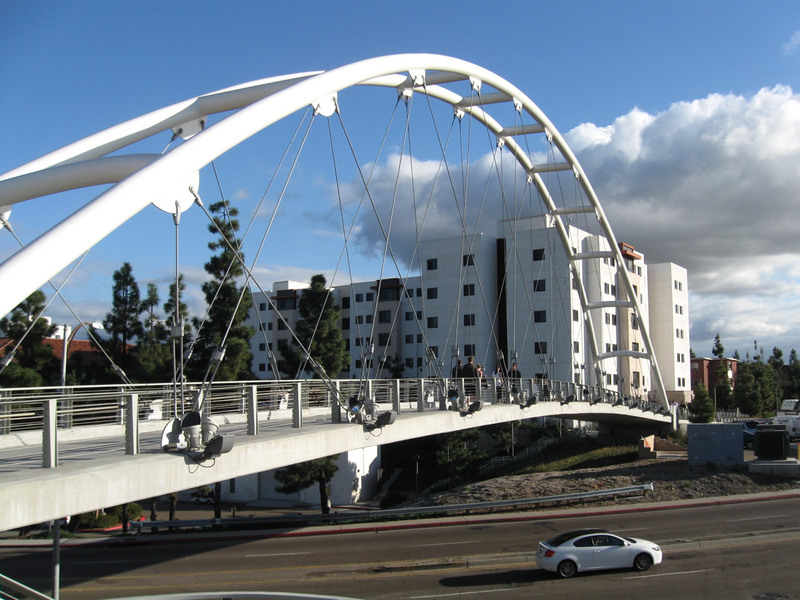 While most of the campus sits on the mesa, portions extend into canyons as demonstrated by some of the tall pedestrian bridges connecting the western parking structure with west commons. 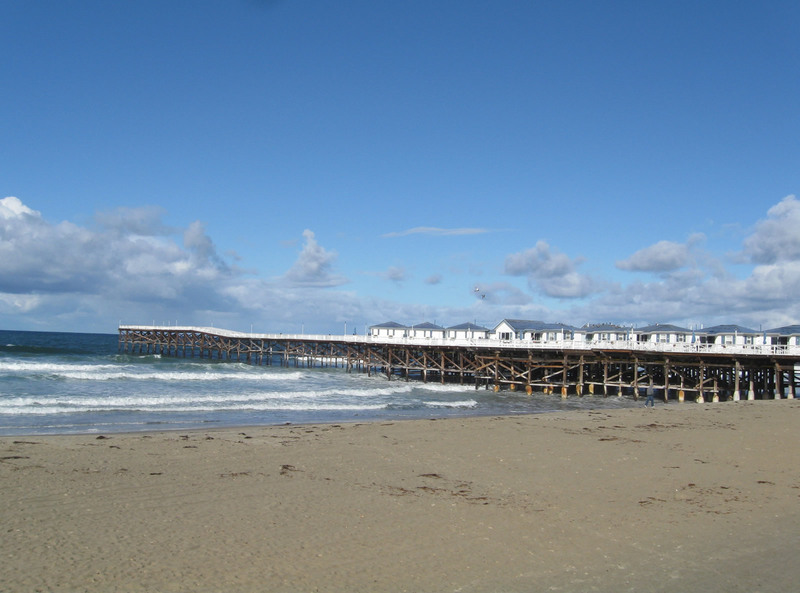 Photo taken 01/24/09. 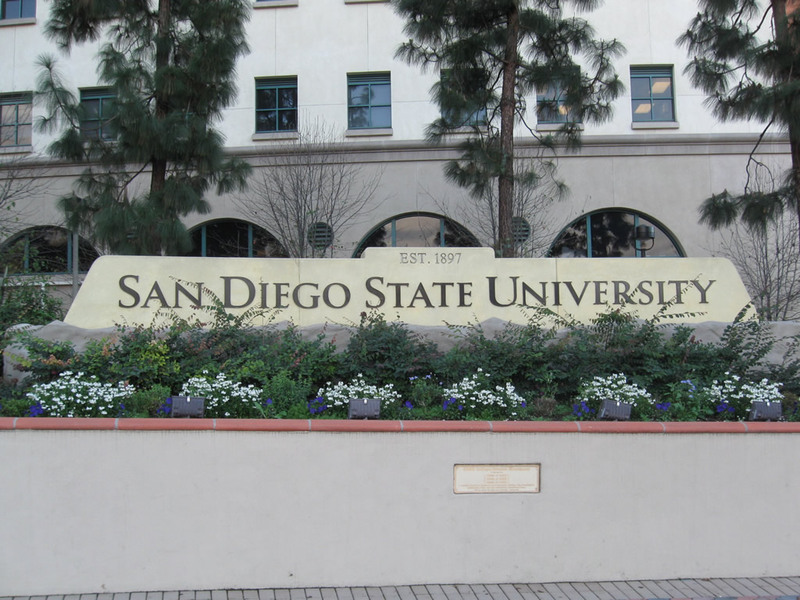 The San Diego State University (Malcolm A. 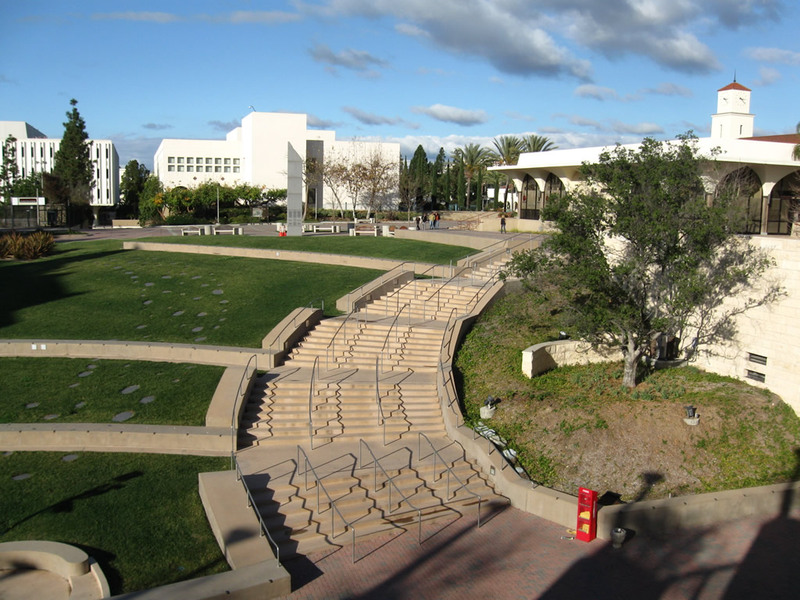 Love) Library Infodome is another signature structure on campus. 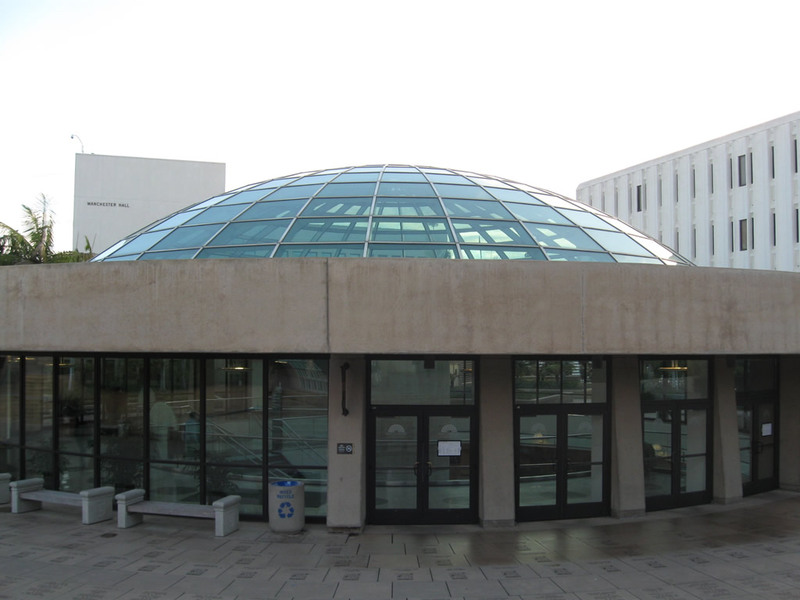 The main entrance to the library is through the dome. Photo taken 01/24/09. 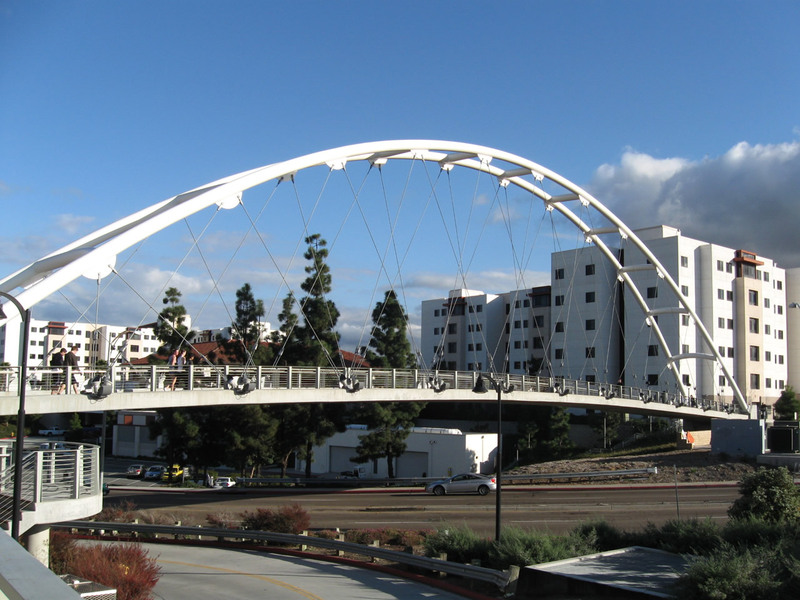 A tied arch (suspension-style) pedestrian bridge connects the east dormitories and parking structures with the main San Diego State University campus; it was built in conjunction with the San Diego Trolley extension onto the university campus. 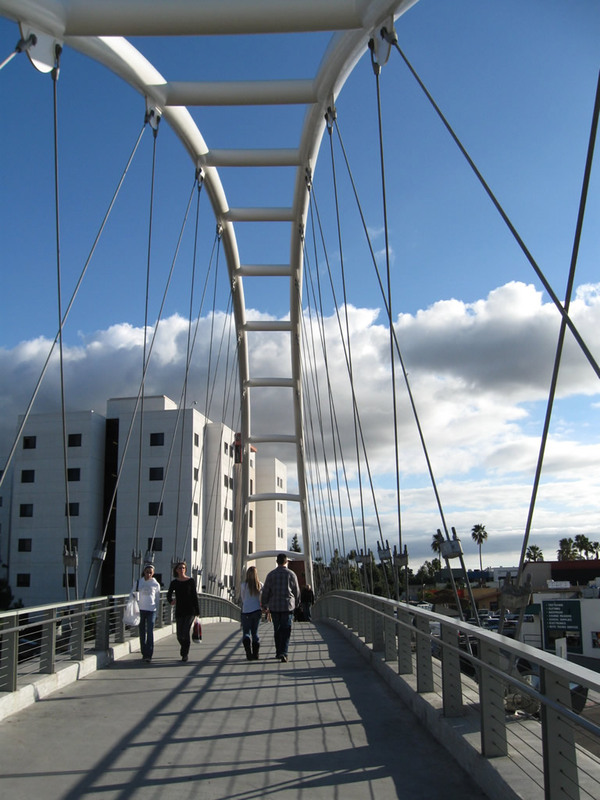 The bridges spans College Avenue and offers a signature span for northbound travelers. 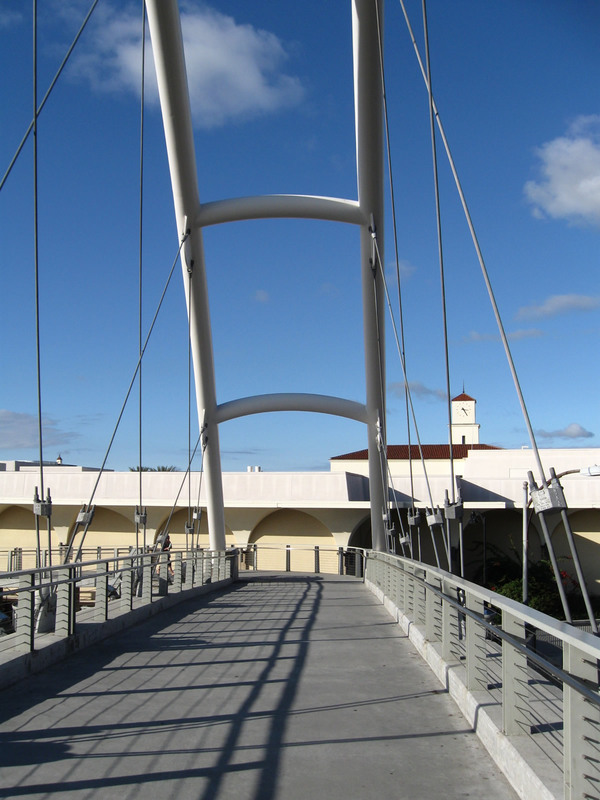 This bridge measures 230 feet long and 45 feet tall; it opened to foot traffic on October 9, 2003.1 The Green Line trolley opened for fare-paying passengers in July 2005. 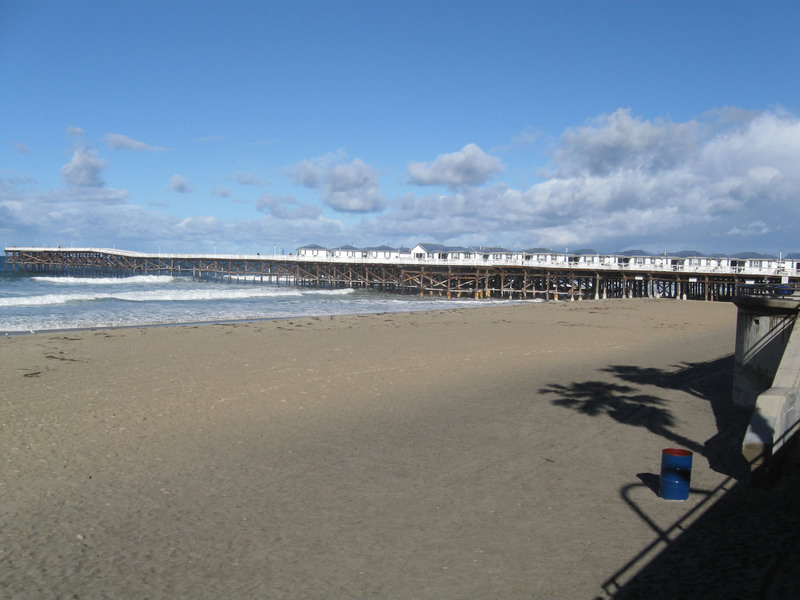 Photos taken 01/24/09. 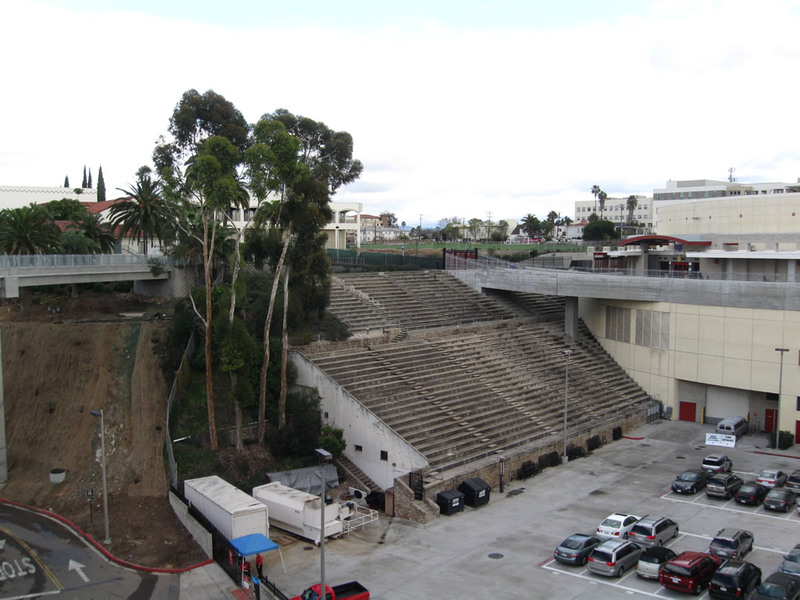 On the west end of the San Diego State University campus is the Aztec Arena at Aztec Bowl. 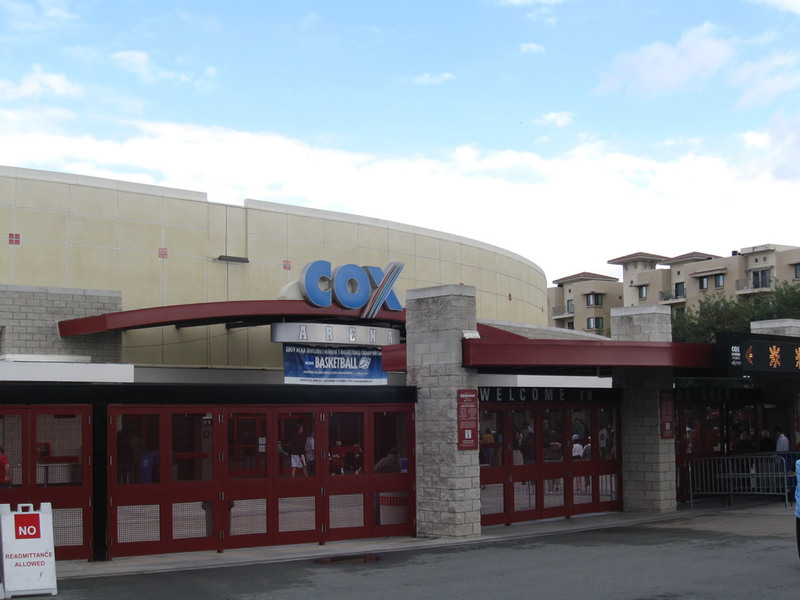 Known as Cox Arena, it is known as Viejas Arena as of 2011. 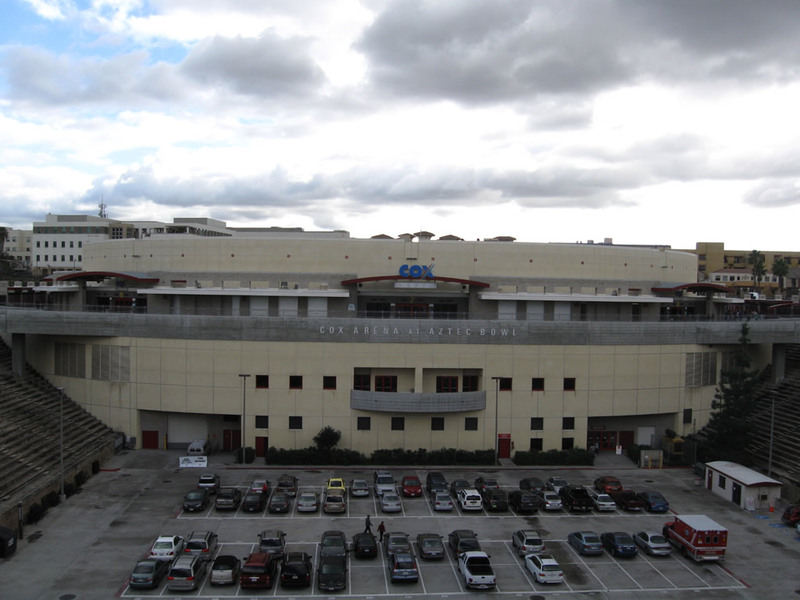 The arena was built into the original Aztec Bowl, which originally was a football-style stadium. 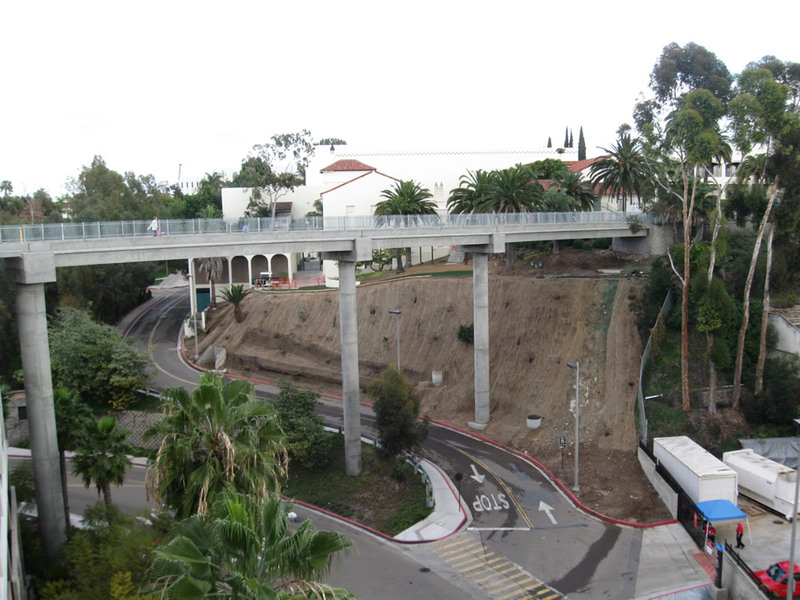 Terraces from the original bowl were kept in the walls of the canyon. 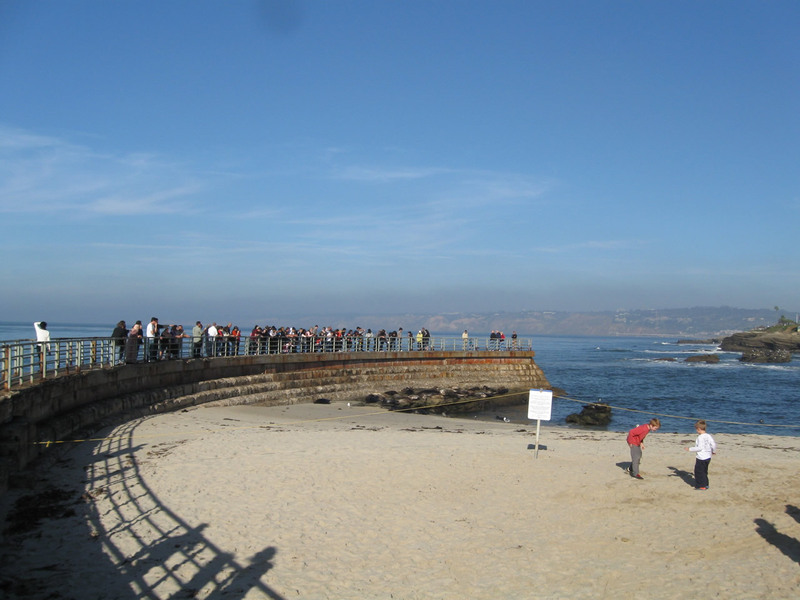 Photos taken 01/24/09. 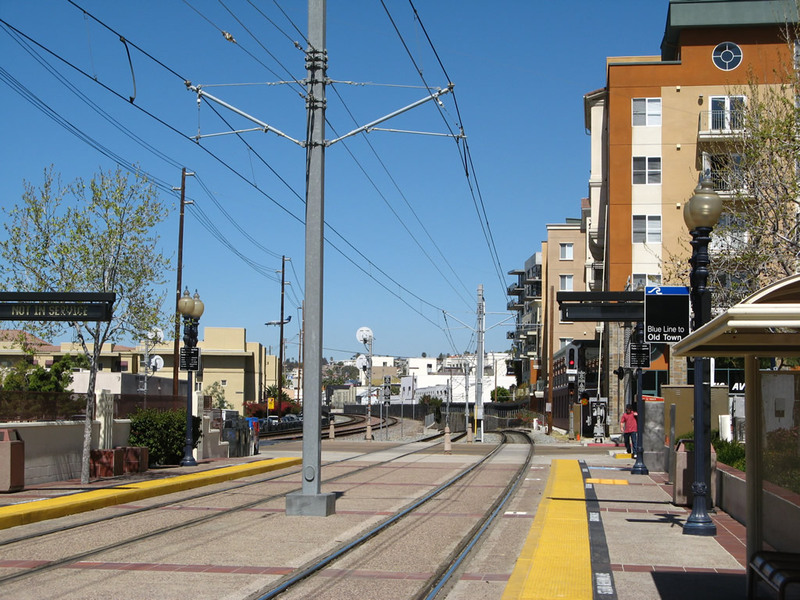 This series of pictures shows the entrance to the San Diego State University trolley station (Green Line), which is located below ground. 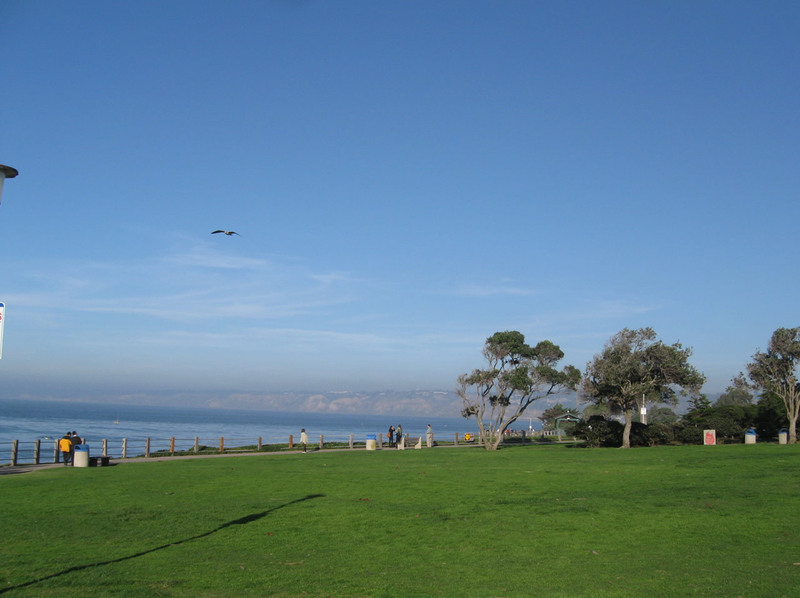 Photos taken 01/24/09. 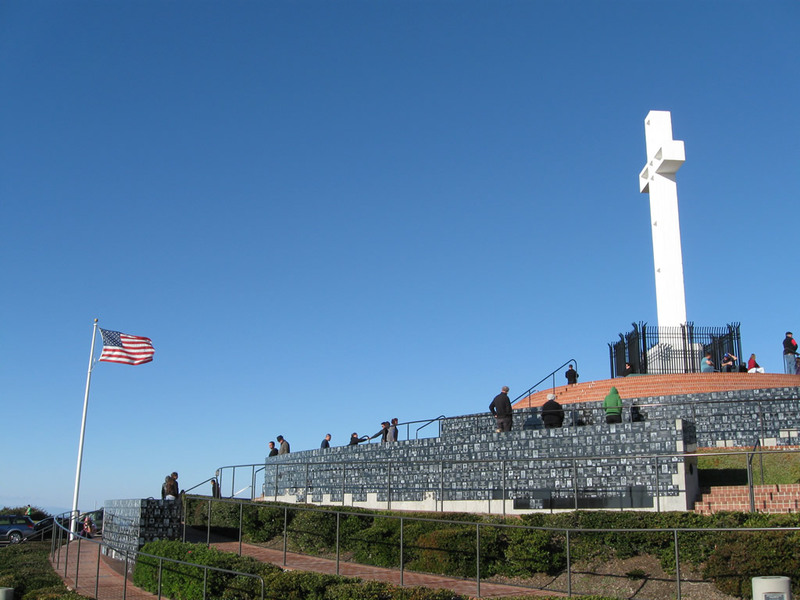 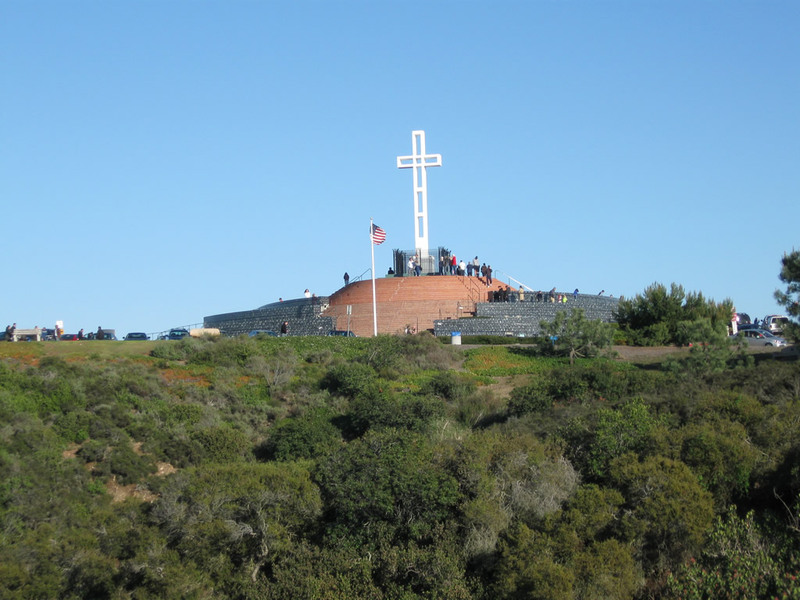 At the top of Mount Soledad is a cross and war memorial is located at a scenic vista point surrounded by a public park. 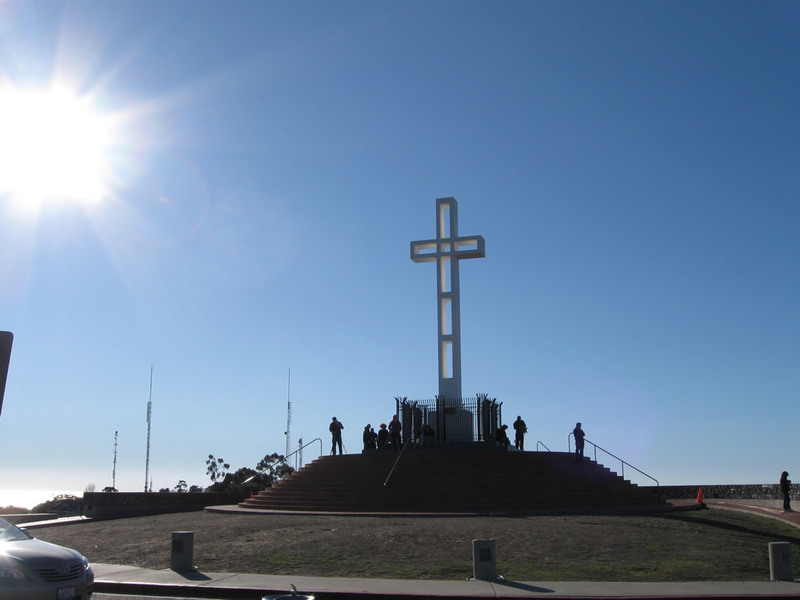 The cross is visible from California 52 as it travels west through San Clemente Canyon. 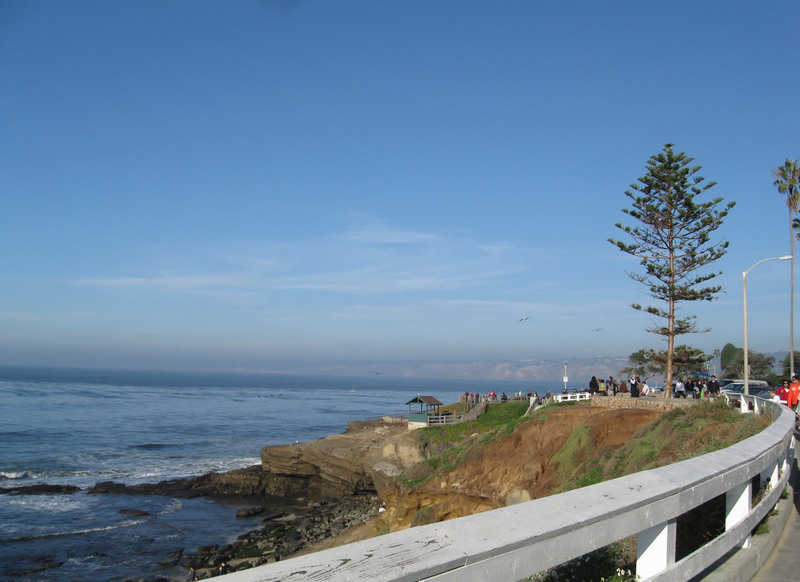 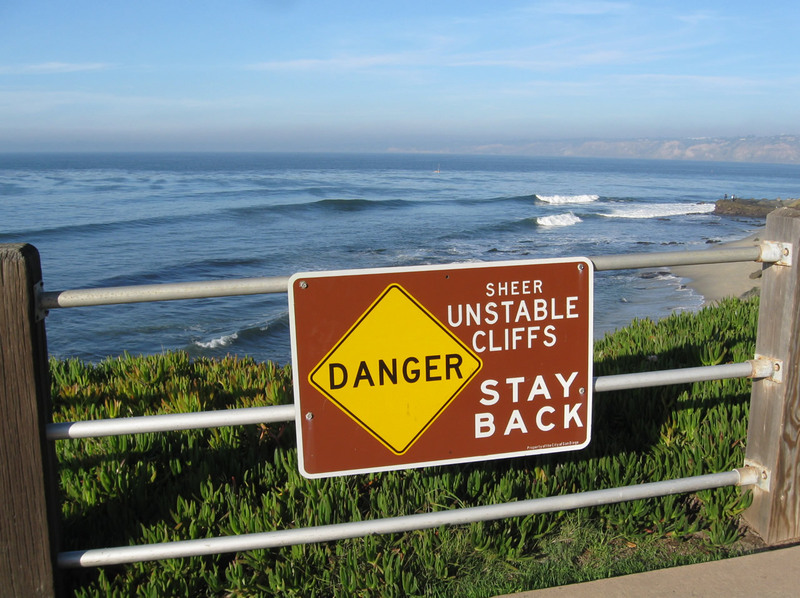 The park can be accessed off of La Jolla Scenic Drive. 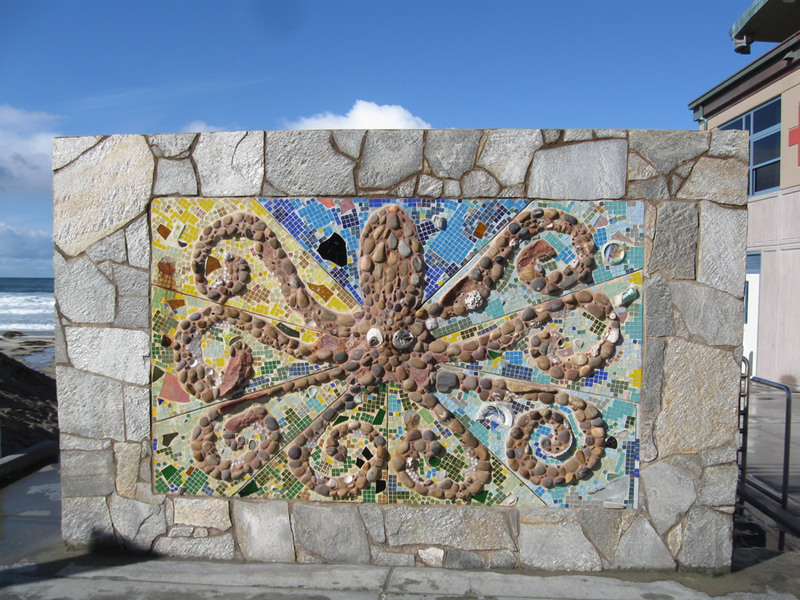 Photos taken 02/27/11. 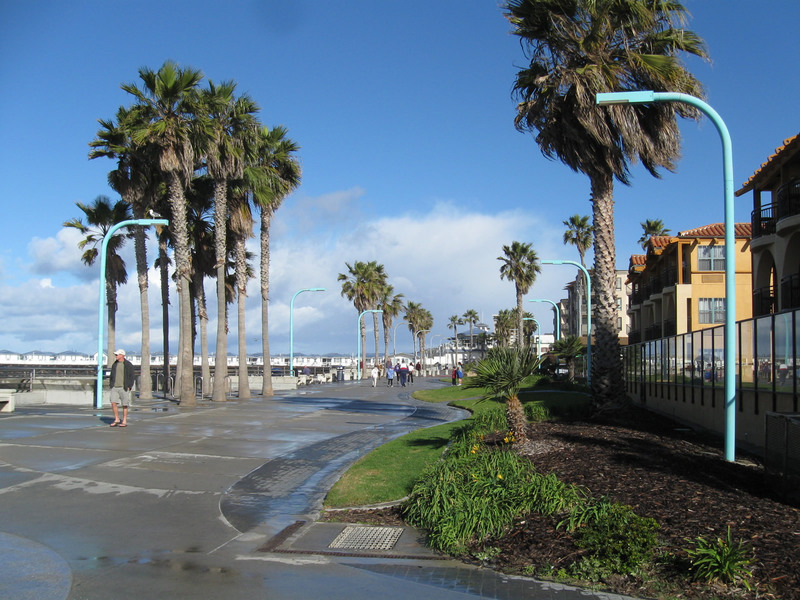 Page Updated September 10, 2012.